AM I A FIT FOR THIS BUSINESS? Success in franchising is about more than the business opportunity. It’s about if the franchisor and franchisee are a good fit for one another. 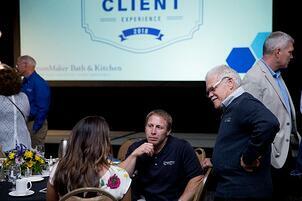 This business relationship must be a good fit for each other for each party to be successful. 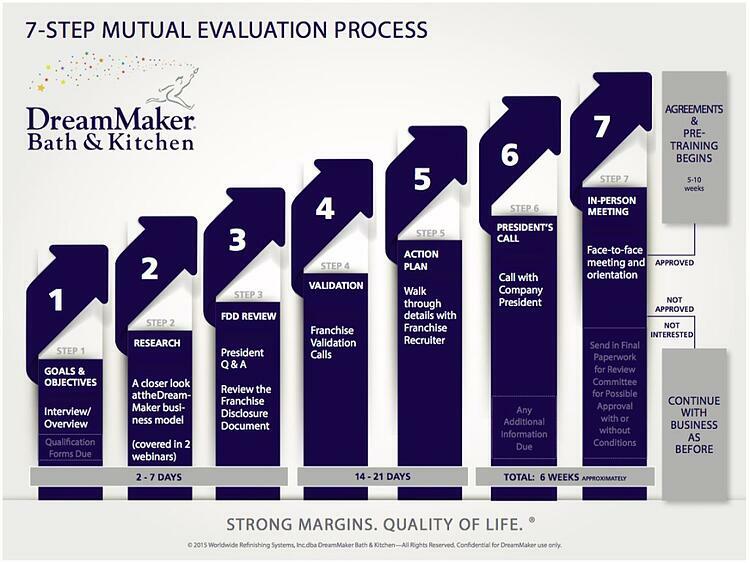 To ensure this proper fit, we will engage in a 7-Step Mutual Evaluation Process. During this process, we take multiple opportunities to get to know you and your goals, both personally and professionally. This is also the time for you to get to know who we are and what we stand for. We work hard to make sure that we answer all of your questions so you can determine if DreamMaker could help you achieve the goals you have for your life and business, while learning if you’ll be a good fit for our culture and systems. Drive. You must be motivated to succeed. DreamMaker can provide you with well-crafted systems and hands-on training and support, but it will be up to you to build your business. We’re here to help, but the drive to success comes from you. Heart. We want people who value others and treat them with respect. We look for people who want to build a better community, and who want to succeed by helping others. Focus. As a business owner you will have to be the team leader that focuses in on goals and benchmarks. You must maintain focus, so you and your team can succeed. Coachability. Entrepreneurs often seek novel ways of tackling business challenges. We respect that, and the problem-solving skills of franchisees have helped DreamMaker flourish — but at the same time, it’s important to be able to step back, absorb and implement the lessons that DreamMaker and the experienced franchisees in our network have already learned and are eager to pass on. Willingness to follow systems. We’ve done the heavy lifting and invented the wheel, so you don’t have to waste time reinventing it. DreamMaker’s systems are time tested and come from decades of experience in this industry. The benefit of a franchise is the systems that guide you to success. Values. We look for people who have integrity, respect others and are focused on improving lives for others. Our Code of Values™ is foundational to DreamMaker’s culture. Support at home. We know that starting a new business asks a lot of you and your loved ones. We also know that having that support of your loved ones is an integral factor in success.